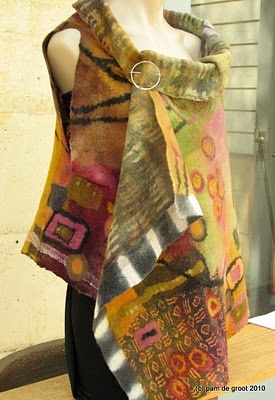 We are thrilled to welcome Pam for a Large Wrap/Shawl Workshop. her amazing techniques of mosaic felt making. We’ll also be looking at closures, toggles and clasps. Venue for the 2 days is St. Brigid’s National School, Beechwood Lawn, Castleknock. 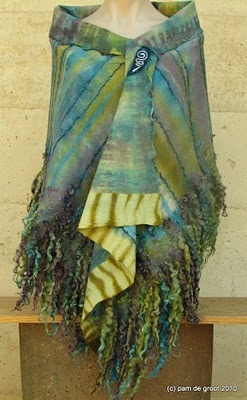 Download the application form on the Feltmakers Ireland Workshop page. Application Deadline extended to May 8th after AGM! A big thank you to Angela O’Kelly who gave a workshop for our members last week-end in Collins Barracks – she is a fantastic teacher (as well as a very talented designer and jeweler). 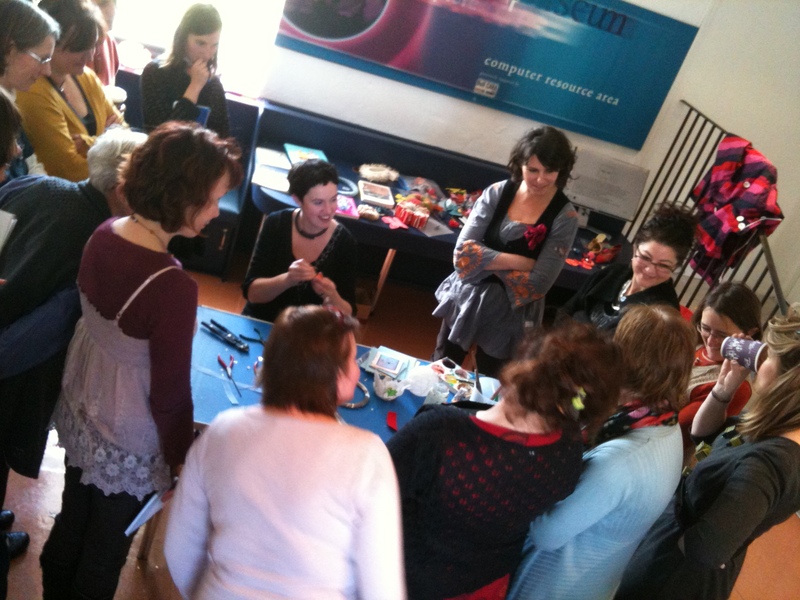 There was such a huge interest in the workshop that we had to plan a second one, which Angela very kindly agreed to, and so there are 12 lucky people who will be attending the next on on the 16th of April.